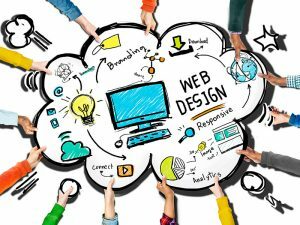 The very purpose of web design for any business is two-fold: To attract new clients and to further interest existing ones. By not having a site implies missing out on probable clients and probable income. Your website does not have to be excessively large, confusing or costly to show who you are and what you do. Notwithstanding your other marketing strategies, you need to empower potential clients to either discover you through Google or take action after they have seen your other advertising material. Don’t let your budget or time limit you in building your small business website. We are experts in designing, developing, and writing compelling content that is both user friendly and search engine friendly. We can be both your marketing arm and web administrations. Provide a secure area for you to exchange information with your partner, patients, or customers. We’ll help you design and write your site to detail your experience, involvement, and different qualifications to give you believability and give potential clients more certainty when choosing whether to work with you. Have a site already? We will take your current site and its content and mold it – like clay in a skilled potter’s hand – to make something absolutely stunning and at a price you can afford. Contact us for a quote today or simply send us your questions or concerns. Get Started Today Get Found. Grow. Dominate. Let us help you dominate you market. From start-up to established businesses, we have programs with multiple price points or can create a custom plan just for you. Flexible payments and financing are also available. Just ask. Want to outsource all your marketing? What if you could outsource your entire marketing department, yet get the expertise of having one in-house? We can do that. Contact us regarding our fractional marketing department services. We are a full-service agency with over 50 active clients and 20+ years marketing for some of the world's largest companies. There is not much you can throw at us that we can't help you with.